Aquaculture or fish farming has been gaining popularity in the United States as a profitable method of producing seafood. Start your own for-profit fish farm, whether you want to start small and raise fish in your home pond, or indoors in containers, or go big with commercial ponds. Over the last couple of decades, the demand for seafood has increased around the world and it’s still increasing. This is due to rapid urbanization around the globe. As people’s living standards improve, they tend to buy more seafood and meat for their diet. Many experts believe that the demand for seafood will put further strain on an already overfished natural and wild fish supply around the world. Aquaculture can be a profitable method to produce more seafood and meet this increasing demand. It would also help the natural fish stocks to recover and regenerate. African catfish (Clarias Gariepinus) farming could be a profitable business and could be an important source of protein in diet. Catfish is a warm water fish and can be grown in natural ponds, fish tanks, raceways aquaculture, and in backyard ponds for profit. They reach a marketable size of 2.5 to5 pounds within a very short period of time. They can reach 1-2 pounds after 18 to 36 months of hatching. Let’s look at some of the most efficient ways you could raise catfish in your pond or channels or cages for maximizing your profit. There are several factors that affect the growth of your catfish. Growth of your fish and profit will depend on how efficiently you manage your farm, the water quality, disease control, managing your costs, and the number of fish you produce for your inputs or per acre of your land. Your profits from a catfish farm will depend largely on how fast you grow them to marketable size. The faster they grow, the sooner you can harvest them for profit. Catfish grow best in warm water between 83-86o F. You can begin spawning of your fish in the spring when the water temperature rises above 70 o F. You may collect juvenile fish from a nearby hatchery. 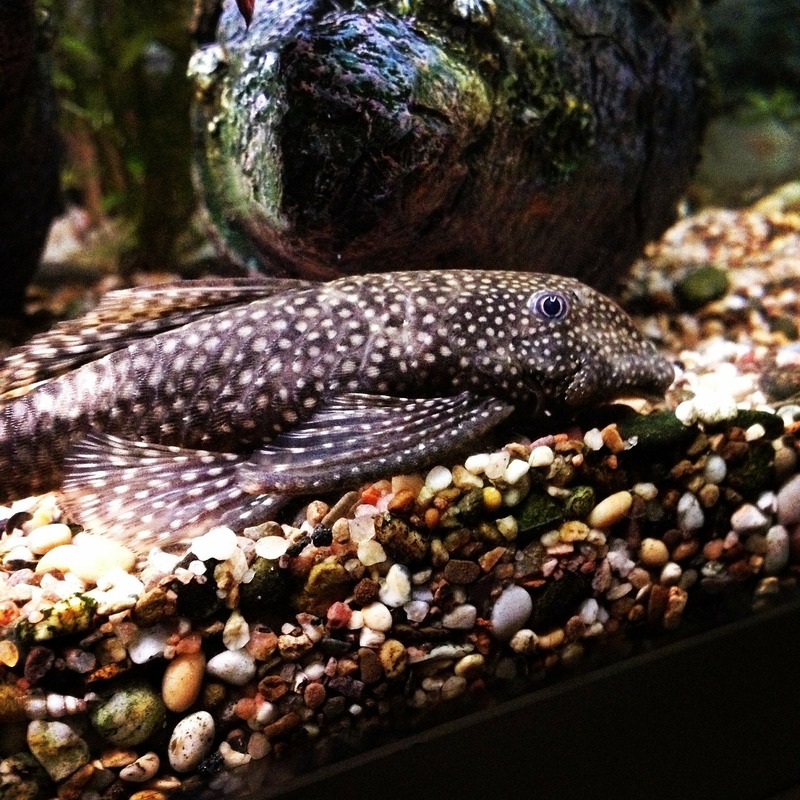 Catfish grow more rapidly with flowing water or raceway aquaculture. 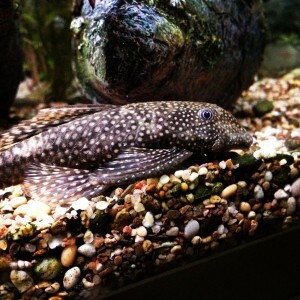 However, they can also thrive in fish tanks and reservoirs. They do not grow well in small ponds because of the predators, especially if bass and bluegill are present which feed on young catfish. 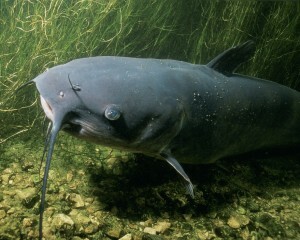 Catfish tend to grow faster in rivers where cage based aquaculture culture is possible. Maintaining a balance in your pond is important because if you have fish growing in higher density, it could give rise to toxic water and pollution. Your fish will get sick and grow less. Two years following the stocking, your fish will reach its limit and harvest sized fish have to be taken out. Remove all undesirable fish and materials from your pond. In a well-balanced pond, the natural ecosystem of the pond can feed your fish after you have set up your pond and added nutrients to the soil. In a fertile land, plants and insects will provide food for your fish. For rapid growth, use a nutritionally balanced catfish feed. Your catfish fingerlings will grow faster if you feed them regularly in the beginning of production season, they will grow the right size for harvesting by autumn. However, feeding too much will result in poor water quality and it will also increase your feeding costs. Water quality plays an important role in raising healthy fish. A circulating water system will keep your water clean but also check for the right pH balance. Your water should have a pH between 6.5-9.0. If the pH is too low, add limestone to your pond. Also check for dissolved impurities and oxygen level of your water. Both physical and chemical factors play important role in rising catfish faster. The ideal density for intensive farming could be between 1,500 to 5,000 lb/acre, with four feed pond depth. For small scale farms 1,000-1,500 lb/acre is ideal. For faster growth, you will need to supply aerostation and regular supply of food. Check for water contamination by using water tests and soil tests. Also look for sick fish in your pond. There are several signs for checking illnesses in fish. You may consult your local authorities and agricultural centers if you have any concerns about your fish health. Did you find this blog informative? We would appreciate your comments and feedback on it. So, add your comment in the comment box below, or on our Facebook page. Click here to book a meeting with us. You may also call our office at (303) 495-3705 to get a hold of us. thanks for your comment. You could call our office at 303-495-3705 for more information. Thanks for your kind words. Please call our office at 303-495-3705 if you need further assistance. We are professional fish feed Manufacturer here in Nigeria. Buy from us today at NGN2,500 Per 15 kilograms bag and cut the cost of feeding your fishes to maximize your profit. We supply Nationwide to your doorstep or farm. ADDRESS: Plot 15, Block XII, Industrial Estate, Off Idiroko Road , Ota , Ogun. We need customers all over the country to esterblish long term business partnership with. Our feed contains 48% CP much more better than the so called foreign feed. I am into fish farming and I want to start selling the feeds, please ho do I go about it. I cannot answer it directly without getting more information from you. However, we have a site where you can get much information about fish farming and all other kinds of agriculture and what we call ecolonomic living (http://ecolonomics.org). That site is http://www.eatcommunity.com. We will be making you a FREE Member of that site and then we can communicate with you easily about your fish farming questions. On that site there is a questionnaire you can fill out to tell us about your aquaculture interests and even schedule a time to talk with us. I hope this has been helpful and keep up your aquaculture dreams! You are helping make the planet better. Thanks for your information. Pls l am a young catfish farmer from Anambra State. How do l get your feed? Great post, I’m a big fish farmer myself, I find this information very enlightening. Pls keep it up! HIGH QUALITY CATFISH FEEDS FOR SALE AT NGN2,500 PER 15KG BAG. To make a lot of profit in your Catfish farming business, you need to cut the cost of feeding your fishes and Catfish grown at high densities requires a nutritionally complete feed to produce good growth and maintain good health. I’m a local manufacturer and distributor of high quality Catfish Feed in Nigeria. I distribute to all parts of the country to Sub-distributors, Wholesalers, Retailers and End-users. To place order Contact_ 07035907330. ADDRESS: Plot 15, Block XII, Industrial Estate, Off Idiroko Road , Ota , Ogun. The ingredients required to manufacture high quality feed are readily available here in Nigeria hence my Catfish feed has a high quality energy source required for growth and maintenance of body tissue resulting in improved weight gains because it is fortified with balanced vitamins, minerals and amino acids plus Stabilized Vitamin C required for better metabolism, skeletal formation, nerves, body fluid regulation and enzymes to yield maximum productivity. Would you like to collaborate with us? He is a fraudster. I lost N50000 to him recently. Beware of his claim to supplying cheap feed. Well expressed and I am impressed with your view of flowing water. This will solve my problem. I am farmer with almost 40,000 Catfish and Flat head Catfish. Thanks for the feedback! We really do appreciate it. You can learn more from us at ceed.mykajabi.com and the Ecolonomic Action Team, including over 50 hours of webinar replays. Dr. Wayne Dorband has multiple lectures and courses available for access with a membership. Sign up today! Or you can access other great educational info at aquaculturecentral.smartmember.com for free! Thanks for your write-up, how can I grow my fries to fingerlings stage within 8weeks. Great question! We have an entire course designed for backyard aquaculture plus a free version at ceed.mykajabi.com with the Ecolonomic Action Team (EAT). Dr. Dorband has over 20 hours of lectures available with a membership. We also have free information available at aquaculturecentral.smartmember.com. These resources can more than answer your question and we hope to assist you in your aquaculture adventures. Finally if you are very serious and want to get immediate help and consultation you can schedule a FREE call with us for a 30 min. consultation. This can be by skype if you are not in North America, or phone. You can schedule a time with us at http://www.talkwithwayne.com. I really like to thank ds medium n all that have contributed. The page is really encouraging n infomative. I am a started in d bizz n need more info to grow my fish fast wth reduce cost factors. I find dis site very helpful, kip up with the good work, am about going into the biz of fish farming. N with all dat hav read,it really worth the it. Thanks for the feedback! We really do appreciate it. You can learn more from us at ceed.mykajabi.com including over 50 hours of webinar replays. Let us know what you think! Thanks for your question. It is a good one. I cannot answer it directly without getting more information from you. However, we have a site where you can get much information about fish farming and all other kinds of agriculture and what we call ecolonomic living (http://ecolonomics.org). That site is http://www.eatcommunity.com. We will be making you a FREE Member of that site and then we can communicate with you easily about your fish farming questions. On that site there is a questionnaire you can fill out to tell us about your aquaculture interests and even schedule a time to talk with us. I hope this has been helpful and keep up your aquaculture dreams! You are helping make the planet better. Here are several things we can do for you. First, we are going to make you a FREE member of our site where we teach courses and have live webinars about all kinds of aquaculture and agriculture. That site is called http://www.eatcommunity.com and you will get an email with login instructions. Second, one of our staff will contact you and see about scheduling a brief FREE call or skype (for outside US) conversation. He will coordinate the timing for us. Finally, on the http://www.eatcommunity.com site there is a questionnaire you should fill out to tell us a little about your aquaculture interests and needs. Please fill that out. QUALITY LOCAL CATFISH FEEDS AVAILABLE AT NGN2,500 PER 15KG BAG. Call:☎️ 08103953855 Or 07035907330. To make a lot of profit in your Catfish farming business, you need to cut the cost of feeding your fishes and Catfish grown at high densities requires a nutritionally complete feed to produce good growth and maintain good health. I’m a local manufacturer and distributor of high quality Catfish floating Feed in Nigeria. Free delivery to all parts of the country, to Sub-distributors, Wholesalers, Retailers and End-users. I’m a catfish farmer myself, hence, my floating pellets are properly prepared with a 58%(CP)crude protein good and well balance fish feed formulation. Available sizes are 0.2mm to 10mm suitable for juveniles to maturity, we supply Nationwide to your farm or doorstep at an affordable price of NGN2,500 per 15kg. Can a 30,000 gallon swimming pool be converted into a catfish farm tank? Save Yourself From The Breakneck Prices Of Imported Fish Feeds And Become More Profitable In Your Fish Farming Business. WITH OUR FLOATING* AND *SINKING* PELLETS, You Can Cut The Cost Of Feeding By 65%, Get Highly Desirable Results And Increase Your Profit By 50%.. Yes! You Spend Less On Feeding And Make More Money Upon Harvest.